Two Croydon based cycle engineers have built one of the largest bicycle wheels in the UK. The wheel was constructed by John Rother and Rab McEwan of JR Cycles at Norwood Junction, only a ‘stones throw’ from the former residence of William Stanley who developed and patented the wire spoke wheel. John Rother said ‘We hope this will be a reminder to William Stanley’s engineering success and a continuation in his footsteps’. The wheel is 63 inches in diameter, three times larger than an average cycle wheel and hopefully a tribute to local engineering. John and Rab are former engineers from an aerospace company in Croydon that overhauled Rolls Royce aircraft engines. They now plan to combine over 70 years cycling and engineering experience into their new commercial venture. 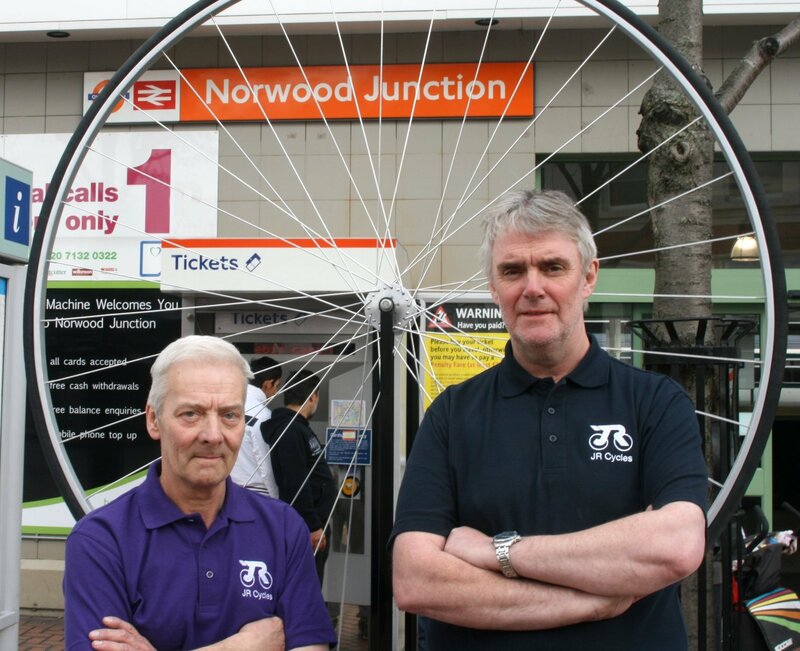 Rab McEwan quoted ‘Norwood Junction was the first natural choice for our cycle shop with its London Overground connections and fast trains from London Bridge, Norwood Junction is also only one stop from Croydon. We are the first cycle shop in South Norwood for almost 20 years and we have received lots of interest and encouragement from the local area, including advance bookings via the website, Facebook and Twitter. Together with South Norwood’s new coffee shops and other enterprises we hope to give the area a lift. We have lots of things in store, the new cycle shop is currently being stocked with both popular, quality brands of bikes and spares, although we will specialise mostly in servicing. Our first shipment of cycles from Giant arrives in the next week and we hope to have similar brands arriving soon. 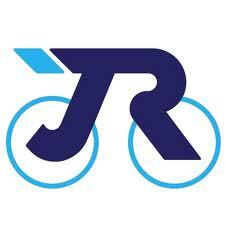 JR Cycles will be holding their launch party at 1pm on Saturday 27th October where everyone is welcome to attend. The large cycle wheel is currently available for viewing at the shop although it is unlikely to fit any standard bike!